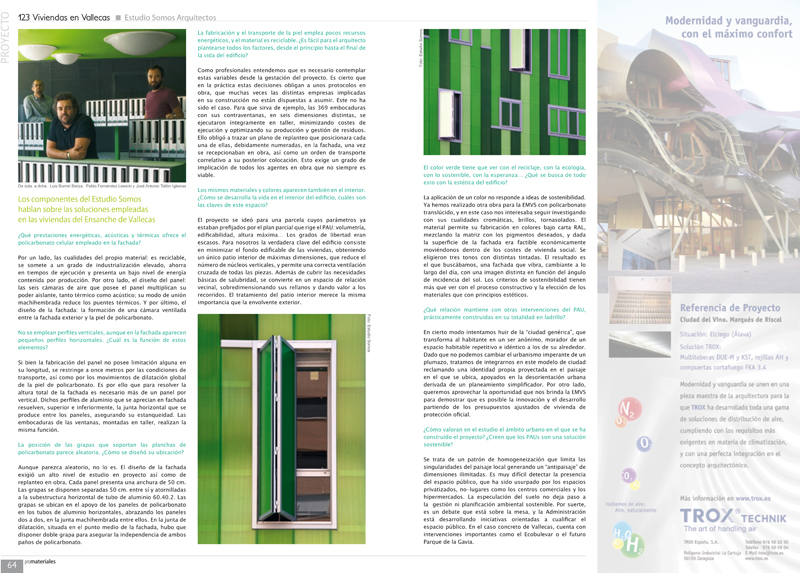 SOMOS ARQUITECTOS PUBLICATIONS: PROMATERIALES. 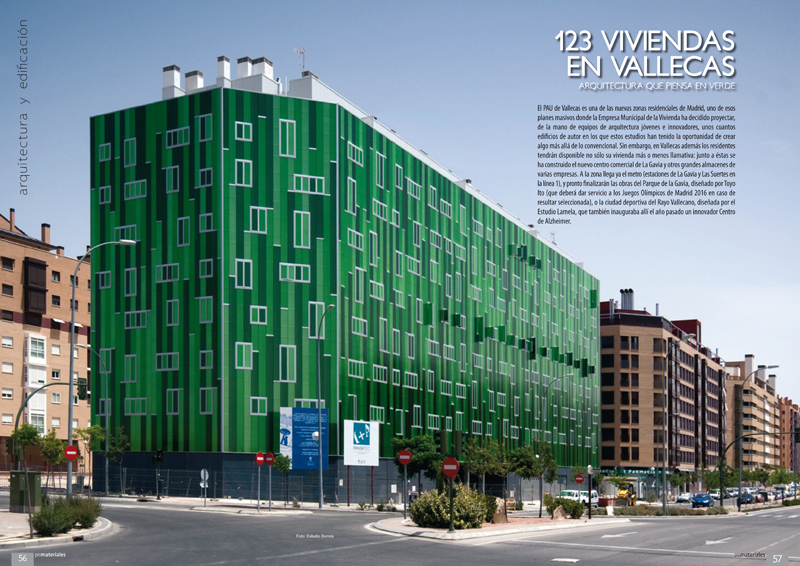 123 SOCIAL HOUSING EMVS IN MADRID. VALLECAS 51. PROMATERIALES. 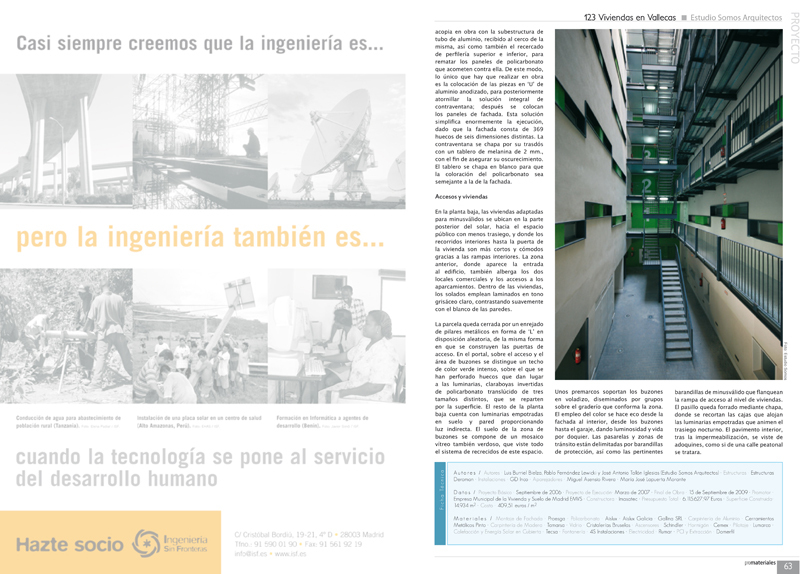 123 SOCIAL HOUSING EMVS IN MADRID. VALLECAS 51. 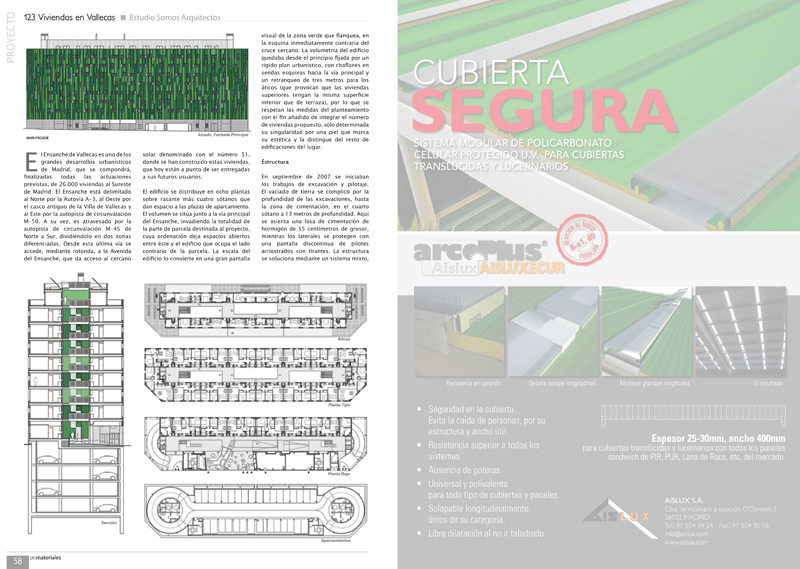 SOMOS.arquitectos published in PROMATERIALES, n.28, 2009. 10. 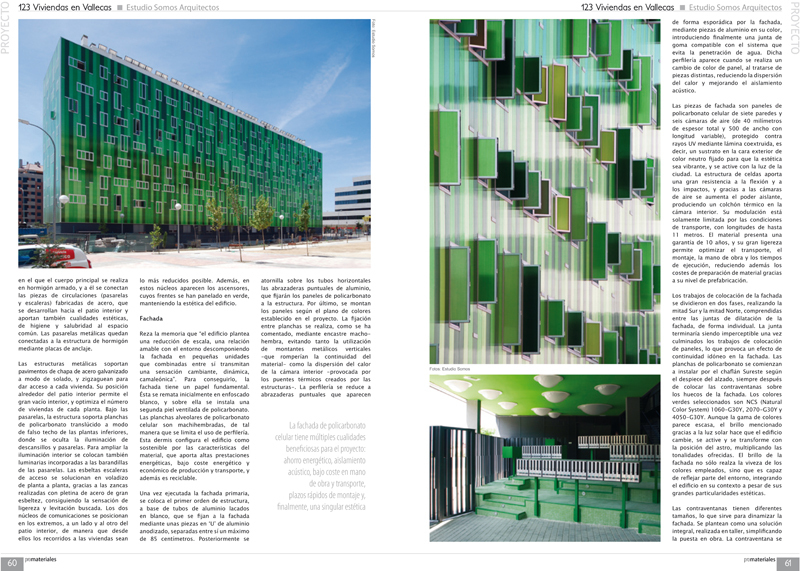 First prize in the construction of 123 social housing units in Vallecas 51 (Madrid).